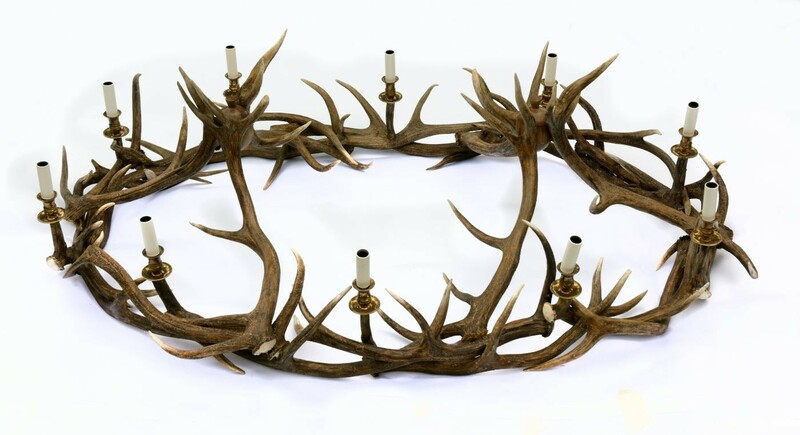 This unusual style of Red Deer chandelier was made as a special commission. Measuring 170 x 100 x 55cm it has 10 lights and 2 'fixing' points. Shallow buttons / deep buttons / piped / upholstery nails options available.